At ACS we have the planning and construction expertise needed to prepare solutions for your home's architecture and setting. 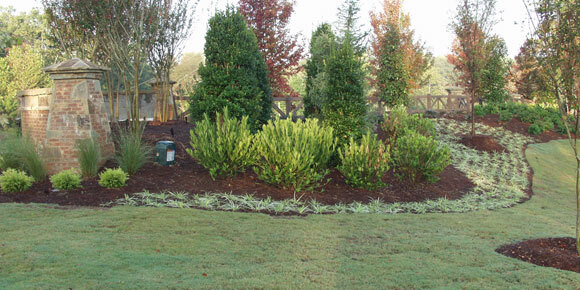 Whether an attractive, low maintenance landscape or specialty garden is the goal, we will devote as much care and attention to your project as it needs. ACS will make this process simple and easy for you, as the homeowner. We have divided the process into easy steps, explained below. Our designers pride themselves in listening to the homeowners needs and requirements. By allowing ourselves to get personal with you, it helps us in determining the types of plants and materials that would work with your life style and preferences. We will set up an appointment with you to review the scope and complexity of your project and discuss the goals, budget, and concerns for your property in order to establish landscape program elements for the ensuing design. Another important aspect of a successful landscape design plan is keeping the client involved in the process. With this conceptual design plan step, you will have input in shaping your landscape design. We will offer you different solutions for your property and continue to talk about budget. Custom landscape design plans are extremely useful to help the homeowner envision what their property would look like upon completion. These plans will include layouts for plantings and hardscapes, as well as labeling specific plant materials. This also helps the homeowner put in perspective the space they have and the best way to utilize it to its maximum potential. From this plan a construction estimate will be submitted for your review. Visit our online portfolio to see more of our recently completed projects.